​As spring ball enters the rearview and the new ​college football season inches closer, it's time to take stock of just how different the nation's top teams are going to look in 2019. And according to Michigan Wolverines defensive end Aidan Hutchinson, one key difference in Ann Arbor this season goes beyond simply the roster. He can't ignore the departure of defensive assistant Greg Mattison, who departed Ann Arbor ​to become co-defensive coordinator with the hated Ohio State Buckeyes. "Coach Matty, you know, he taught me so much when I got here, and I'm not taking any of that away from him. But you get a big feeling of betrayal," he said after Michigan's spring game, per Tom VanHaaren of ESPN. "He told me he was either retiring or he's renewing his contract, so I'm like, 'Oh, okay.'" If you've taken a glance at Hutchinson's Twitter timeline, you know that this thing is ​firmly on his mind. 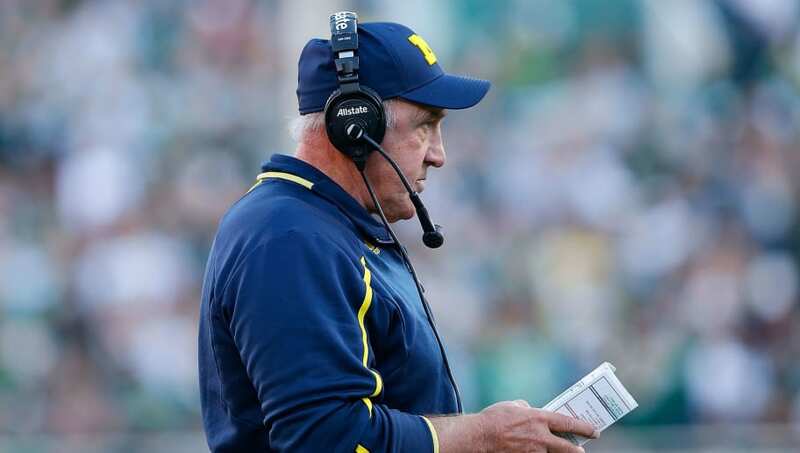 ​​Mattison actually had two separate stints with Michigan before his most recent one, serving as an assistant under previous head coaches Lloyd Carr and Brady Hoke before settling back in with ​Jim Harbaugh's staff. But it's hard to imagine the veteran staffer ever wearing Maize and Blue again after the decision to jet off for Columbus.